The University of California Cooperative Extension presents viticulture research updates at Sonoma County Grape Day on Wednesday, February 20. The program is from 8:00am until noon at the Wells Fargo Center for the Arts located at 50 Mark West Springs Road, Santa Rosa. Check-in and breakfast begin at 7:00am. Pre-registration is closed. On-site registration is $45 with check or cash only. Contact Rhonda Smith, UC Viticulture Farm Advisor at 707-565-2621 with questions. The Grape Day speakers are UCCE Advisors Rhonda Smith and Dr. Lucia Varela; Dr. Andy Walker, UC Davis; Dr. Rodrigo Almeida, UC Berkeley; Dr. Keith Striegler, National Clean Plant Network; and Dr. James Kennedy, CSU Fresno. • Why are phylloxera bugging us? 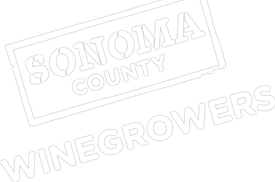 The program is open to the public and is sponsored by the Sonoma County Winegrape Commission.